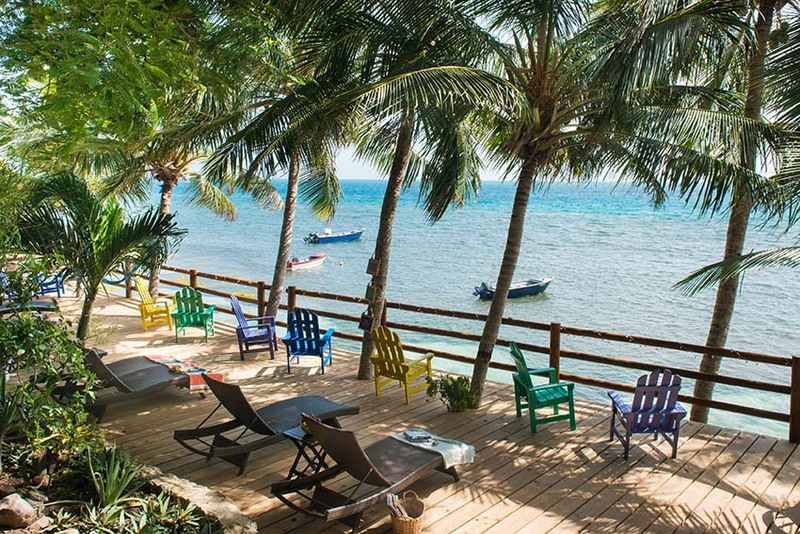 Some 700kms north of mainland Colombia, the island of Providencia lolls just off the Nicaraguan coast. 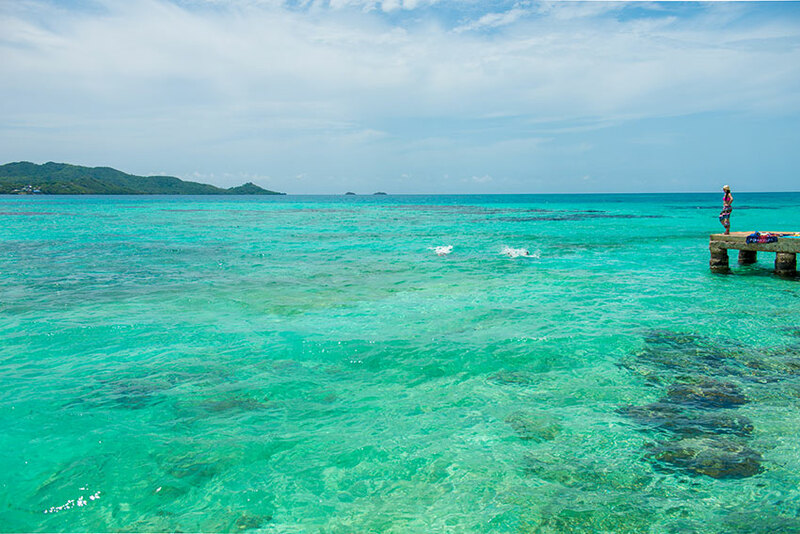 Access is via direct flights from Cartagena or Bogota to the island of San Andrés. From here, it is a 20-minute flight by light aircraft, or or a three-hour catamaran ride across choppy waters. A large part of Providencia’s appeal lies in its inaccessibility. 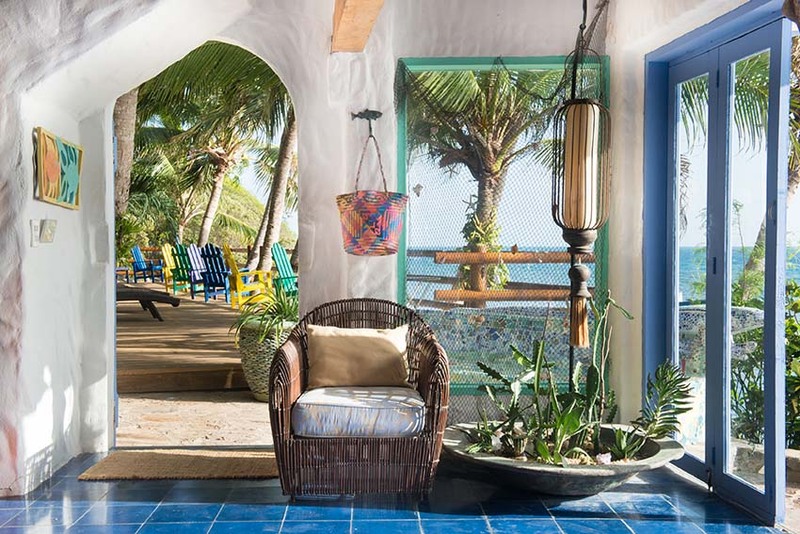 Situated on the northern edge of the island, the enchanting beach house, Monasterio del Viento, overlooks Crab Cay, a tiny dot of land exiled from the mainland. Fortunate with its location, there is a constant breeze and uninterrupted views of the Caribbean sea and natural surroundings. 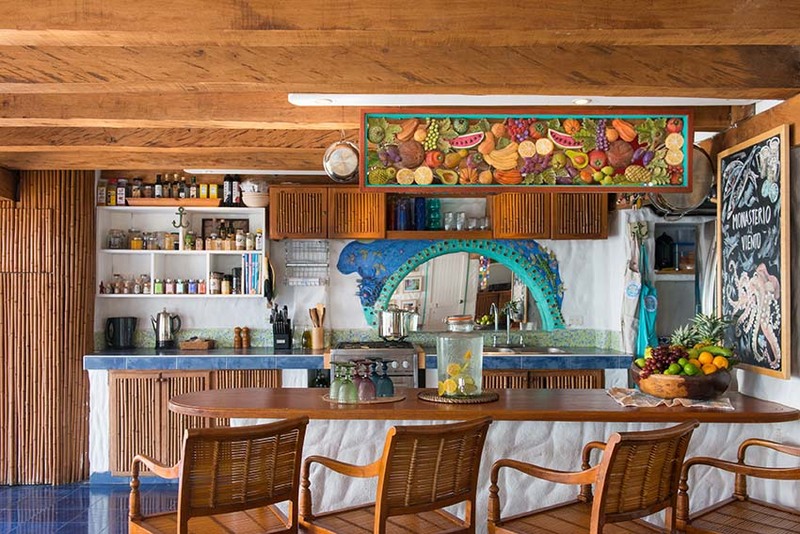 The house is flooded with natural light and the interiors mirror the vibrant colours of the island. 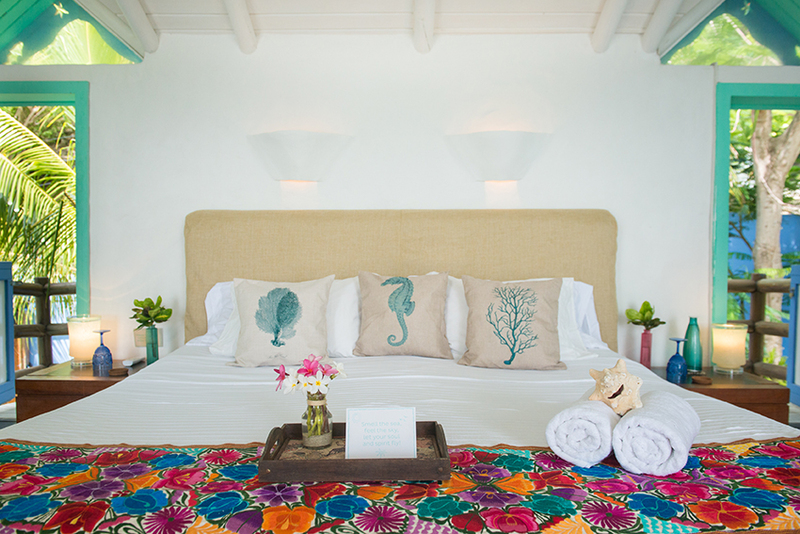 Comfortably accommodating eight guests, there are four spacious bedrooms, each with spectacular views. The master suite has its own balcony overlooking Crab Cay. Named Zephyr, the room also features a private outdoor shower. 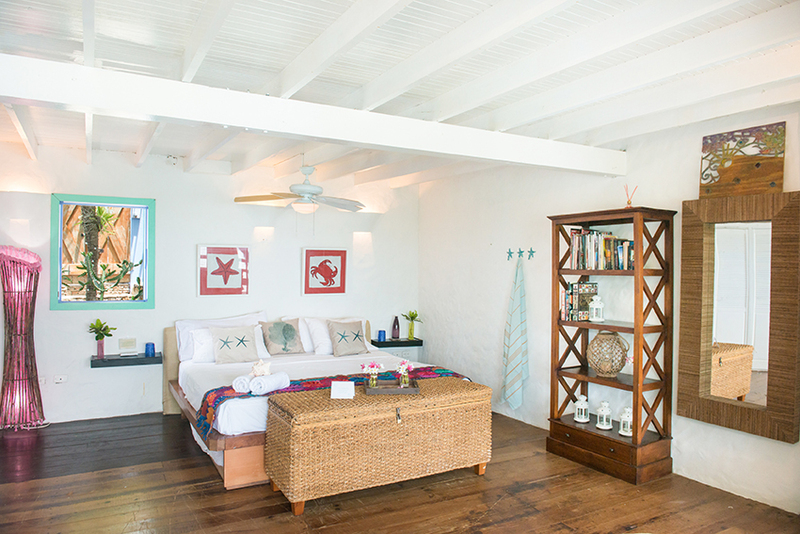 Decorated with wicker furniture, colourful Caribbean fabrics, crisp linen, white painted beams and a ceiling fan, rooms are fresh and simple. A second bedroom, Mistral, has a king-size bed and ensuite bathroom. 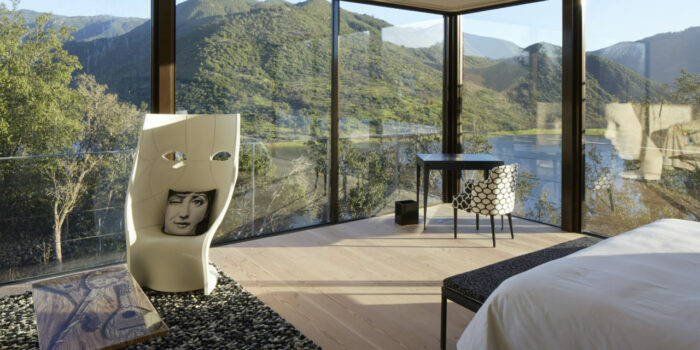 Two of the bedrooms, Bentu and Levanto, are located in a lofty cabin that adjoins the main house. Both have queen-size beds and there are additional single beds available making the space ideal for families. On the first floor, there is a modern kitchen and comfortable living room. Meals are usually served here, but guests may also dine on one of the candlelit terraces. There is a freshwater infinity pool, and plenty of comfortable areas to read, meditate, practise yoga or enjoy a private massage. Reflecting Providencia’s unique Caribbean charm, local artists have created a beautiful mosaic mural that surrounds the pool. Cocktails are shaken up nightly at the property’s well-stocked bar. 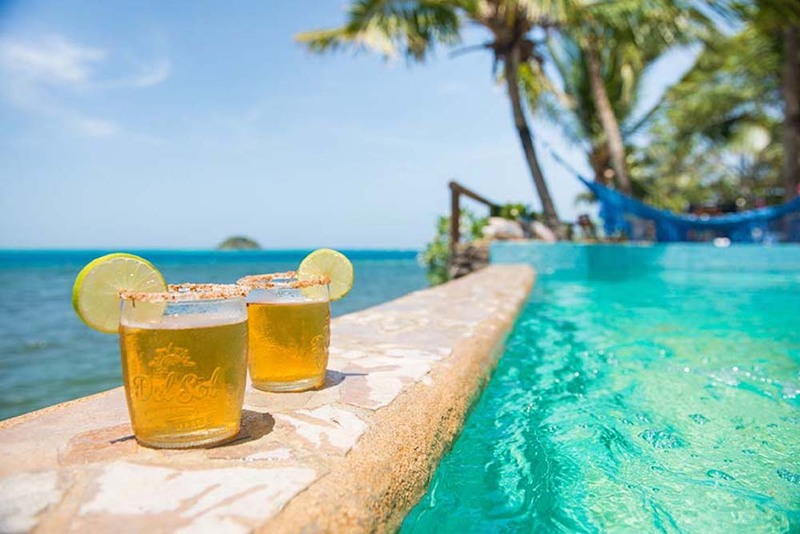 Hop in a hammock with a frosty margarita and watch the setting sun paint the sea shades of lava red. 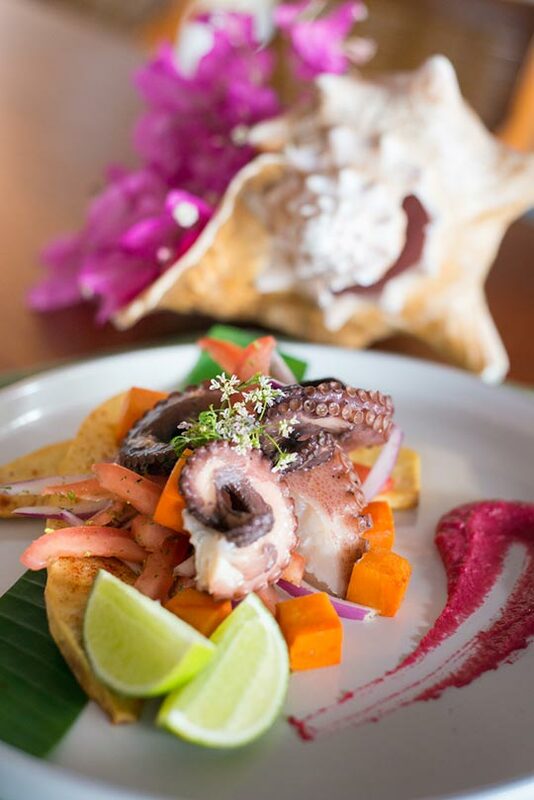 Monasterio del Viento’s head chef Rodrigo Perry explores Caribbean-Colombian flavours to create a daily menu of local delicacies, scrawled on a chalkboard. Freshly caught every morning using fishing lines and harpoons, seafood is deservedly the big story here. 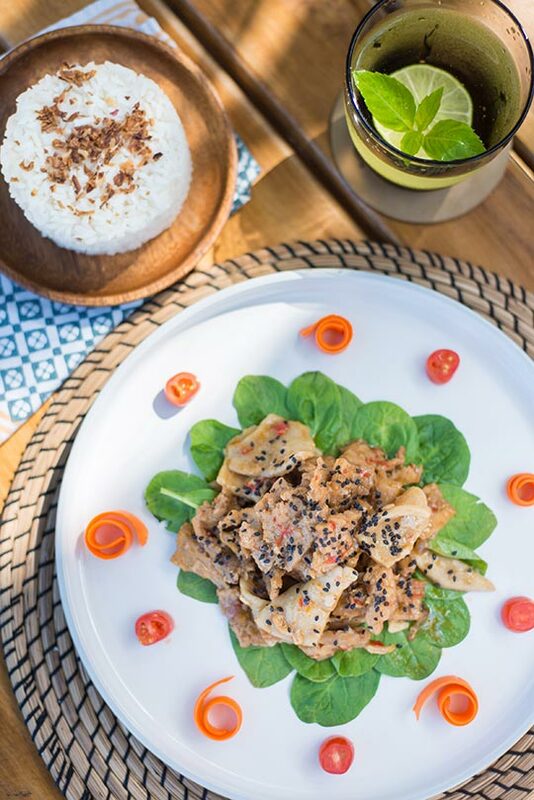 Zesty bowls of ceviche, grilled lobster brocheta, black crab soup and Johnny-cake are all dishes to be enjoyed during a stay at Monasterio del Viento. Perry cooks using coconuts, guava and other produce that is native to the island. 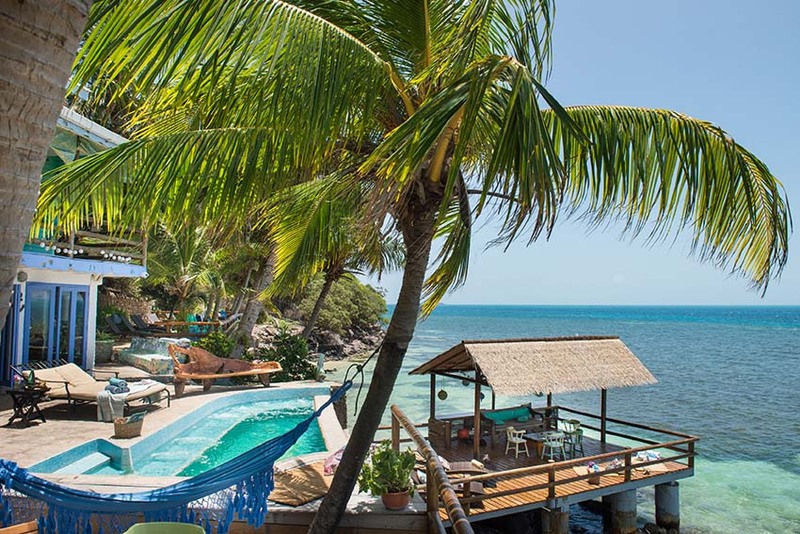 Exploring Providencia on foot or by bike, stroll to the rustic village of Santa Isabel. Accessible by crossing a wooden pontoon bridge, take an afternoon to discover the charming settlement. Climb high up into the hills to explore old pirate hideout, Fort Warwick, dating back to the 17th century. 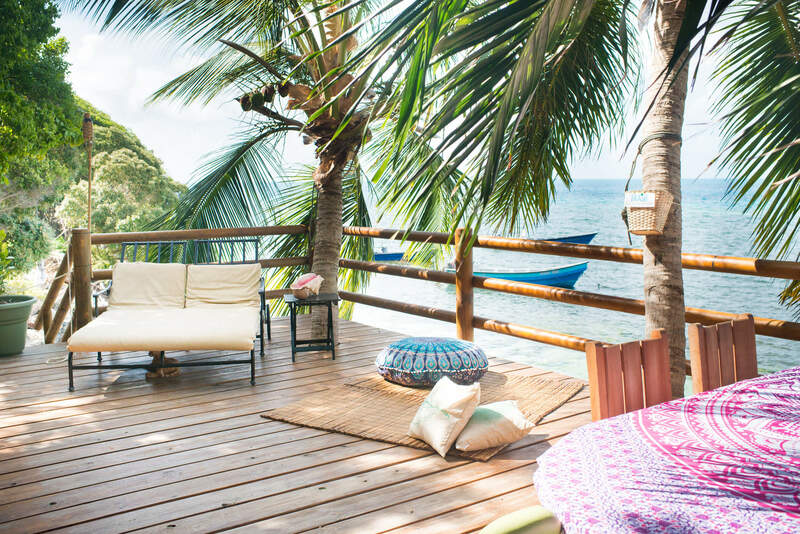 Pause for a moment to enjoy the panoramic views of the island or indulge in a private picnic. 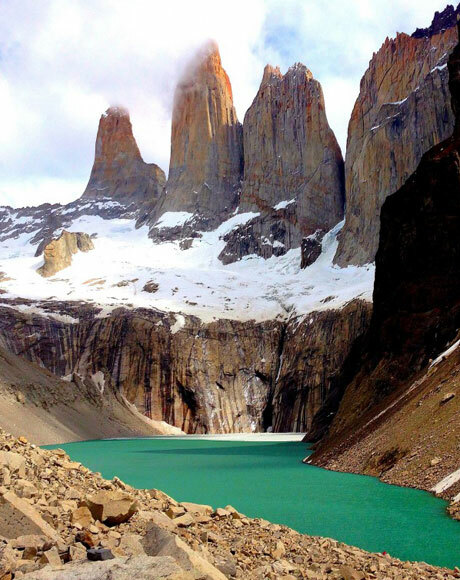 To take the activity level up a notch, hike up all 350 metres of Providencia’s highest mountain, The Peak. 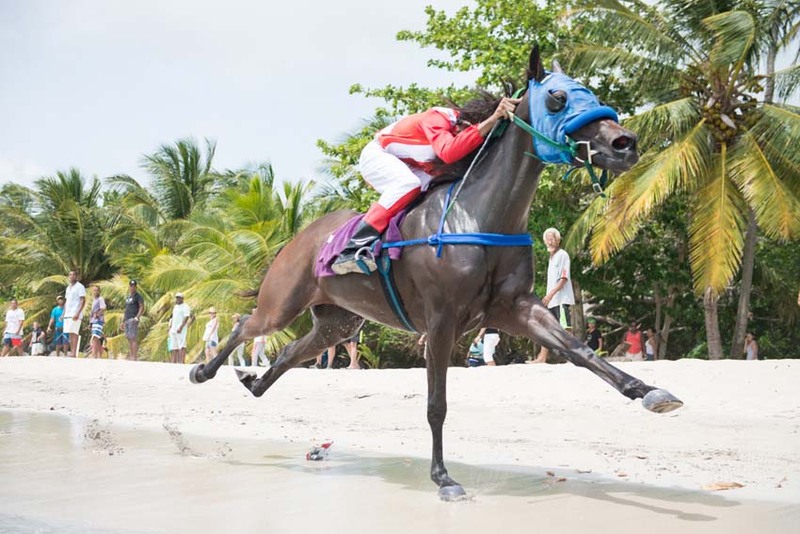 For a change in pace, take a punt on some stallions galloping up and down the powder-like sandy beaches during a spot of late afternoon horse racing. 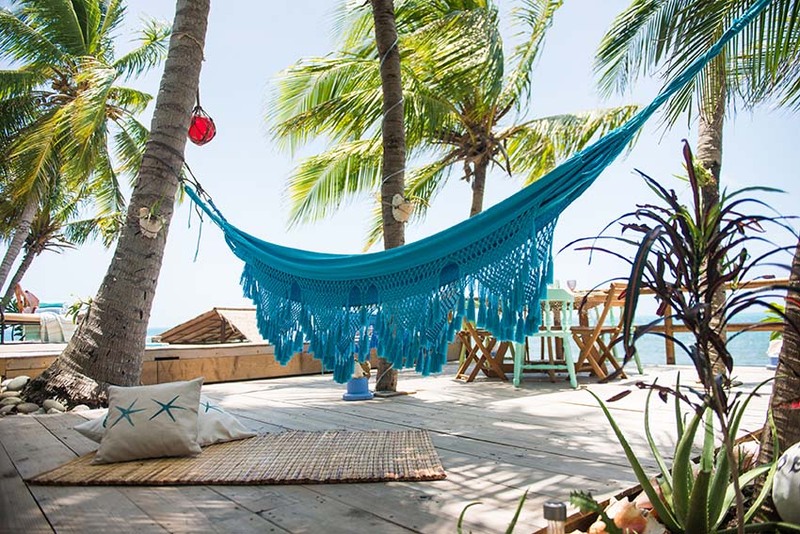 Manzanillo, the most picturesque playa is home to several beach shacks that play reggae and serve Cuba Libres with a kick. The pace of life here is slow. 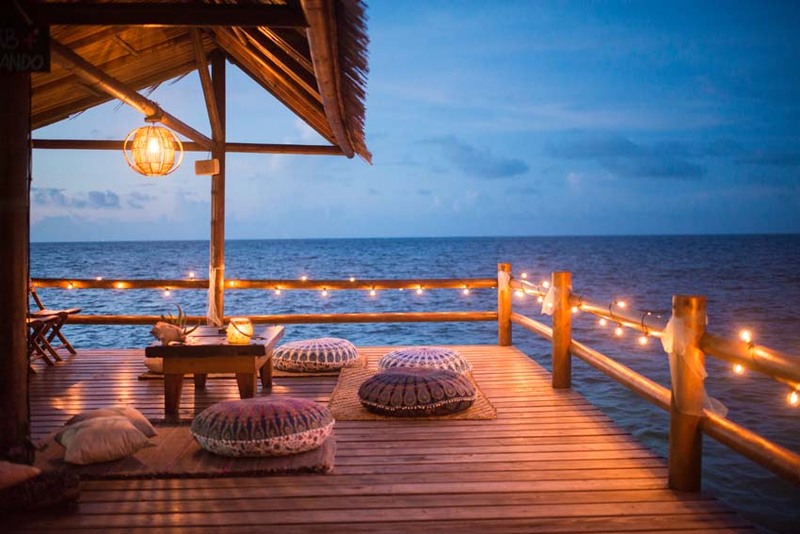 Gloriously off-grid, WiFi is available only upon special request and mobile phone data is yet to reach the island. For anything urgent, we suggest putting a message in a bottle.